I recently had the privilege of getting my nails done at a newly opened salon that Vogue magazine calls “the best gel manicure in New York City.” I’d like to note that I made my appointment before that writeup, but it’s still nice to know that Vogue & I have similar taste… and share the same respect and admiration for the talents of Asami Irigaki. I first learned about Asami from my friend Jaclynn who has gone to her as a private client for years. Jaclynn’s nails are alwaysssssssss ON POINT. 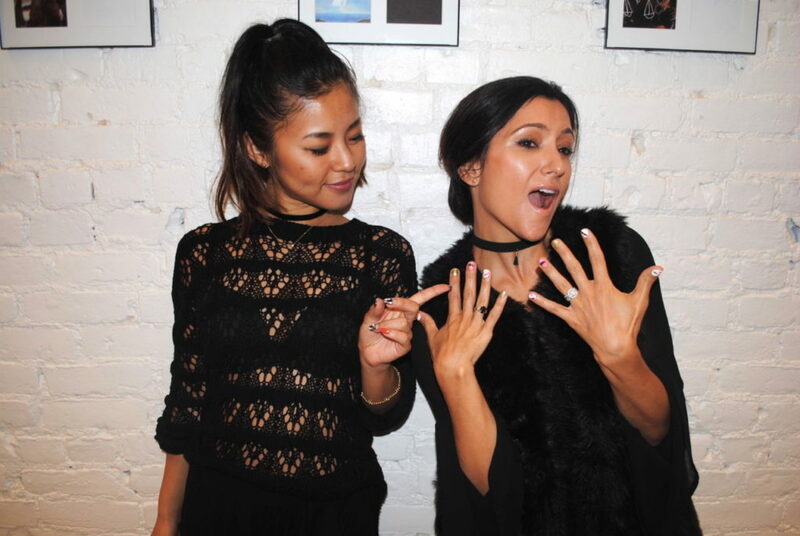 And when Asami was planning on opening Bisou Nail Atelier, Jaclynn could not have been more proud or excited. I attended the opening and was truly wowed by the salon itself, and also the nail art displayed. From designer fashion to surreal art, the inspirations and interpretations blew me away. Asami’s canvas may be your nail bed but she is a true artist. They are a conversation starter and a people pleaser for sure. And I was asked for Asami’s contact info over and over again. But rather than talk you through my experience, which I’ve gotten quite proficient in, I luckily had Denise with me to document it in photos so I can show versus tell. 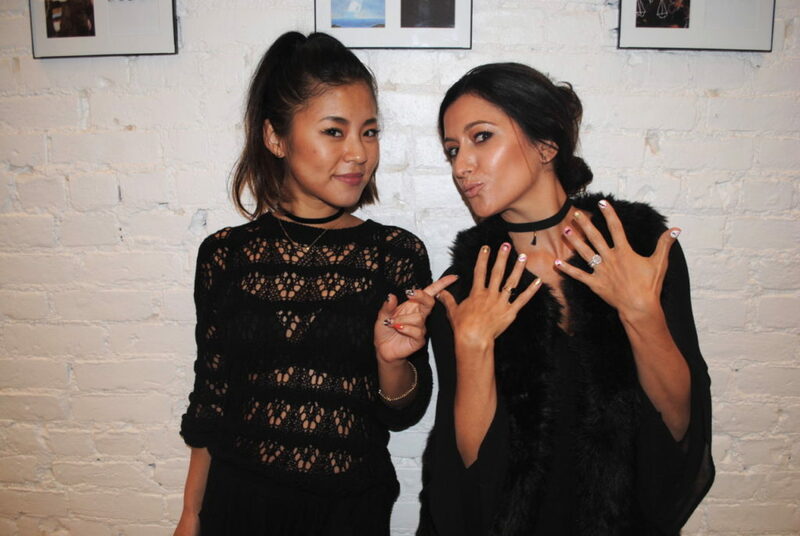 And speaking of the artist, I had a few questions for Asami of Bisou Nail Atelier..
How did you get started as a professional nail artist? I got my start back in Japan when I was still in high school. I taught myself how to do nails and gel nail art by reading nail magazines. 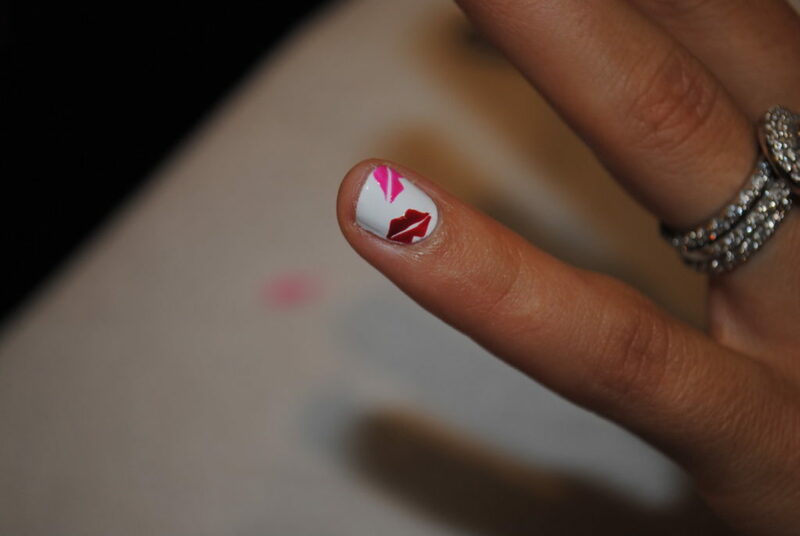 Nail art is a big part of Japanese culture and has been for many years! Why did you open your own nail salon/atelier? Your salon is very chic. How did you choose the decor/design? 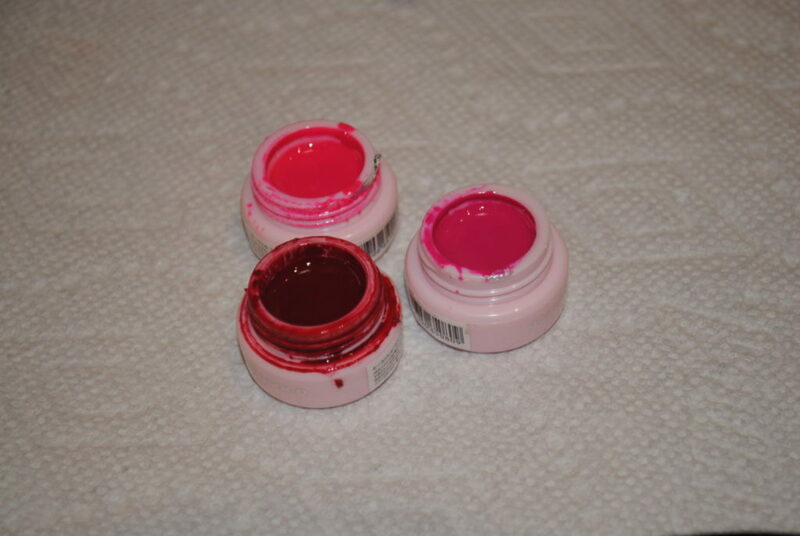 You mentioned the gel you use does not damage the nail. How does it work? 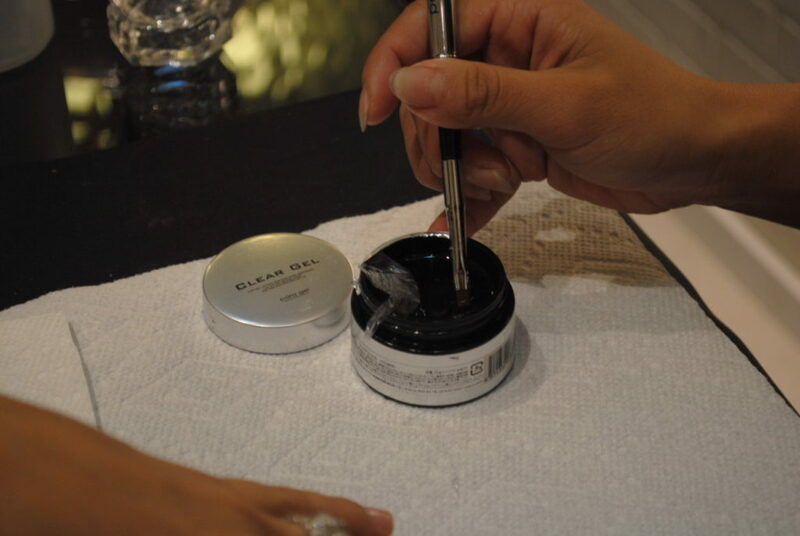 Many salons use gel that needs to filed or drilled off to completely remove it which ends up wearing down nails over time, making nails thin and fragile. The gel products we use are able to be soaked off and it is not necessary to buff or file down the nail in the removal process. I’ve noticed improvements in the health of some of my clients’ nails once they started coming to me for nail art and gel removal. What are your most requested/popular nail art designs? My clients have a wide range of requests but my personal preference and specialty is minimalist geometric designs featuring thin hand painted lines. 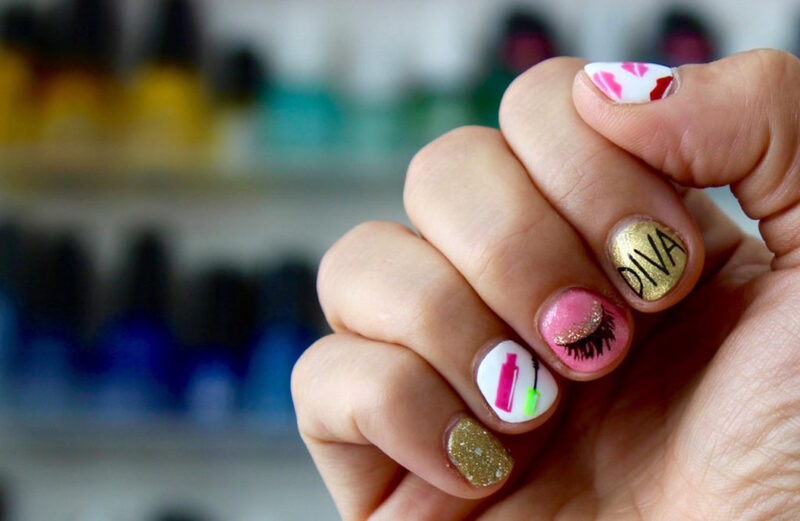 I find that my clients browse through my personal instagram profile for ideas which could vary from NYFW-inspired nails to a simple geometric play on a french manicure. Our mission is to create a new salon environment in New York City where both inner and outer beauty are celebrated in a relaxing, fashion-forward, environment, and eventually bring our concept to other cities so that everyone can enjoy, and love, Bisou! Bisou Nail Atelier is located at 6 Spring Street in the heart of Nolita. The salon is currently open Monday through Thursday from 11am to 7pm (latest appointment) as well as Friday and Saturday from 10am to 6pm (latest appointment). The salon is appointment-only and you can schedule simply by phone or through the website. A single-color gel manicure starts at $65 and prices go up based on the intricacy of the nail art chosen. Pricing is based on time. 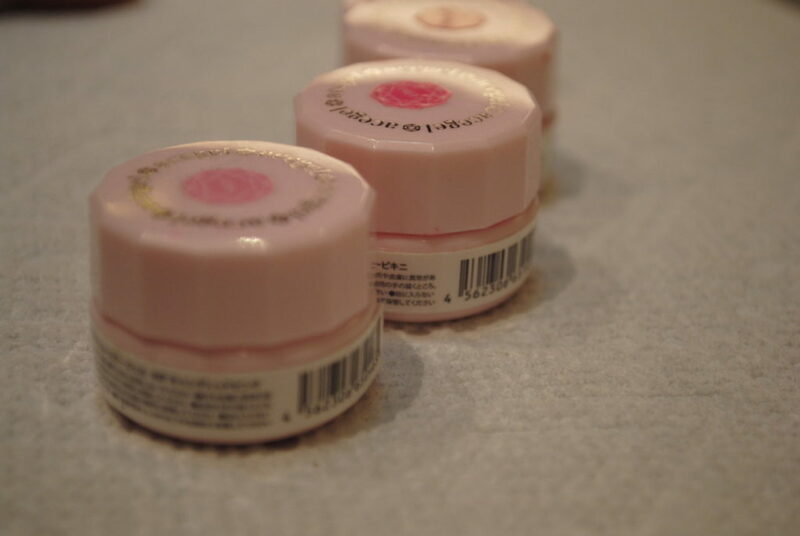 For example, a 2 hour nail art session will run $120 — pricing Asami feels is fair to both her clients and nail artists. I highly recommend you go and get your nails did! NOTE: This post is not sponsored. Service was complimentary for review. All thoughts are unbiased and my own. All photos are property of DIVAlicious. Photos taken at Bisou Nail Atelier by Denise Del Russo.